There are 1 cat videos tagged with instructional. What We Made made a video on how to make a DIY outdoor cat shelter. 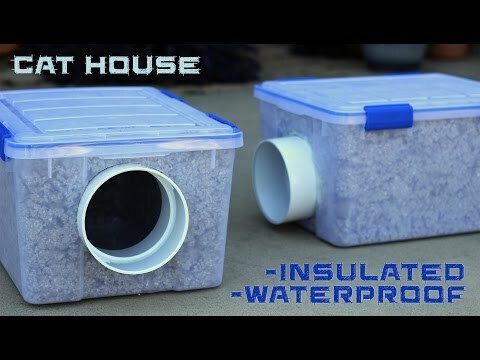 The little cat house is easy to make and can be done in half an hour. It would provide awesome outdoor shelter for your stubborn indoor/outdoor cats or a nice place to sleep for a feral cat.